To attract attention, be irresistible, to have it all! 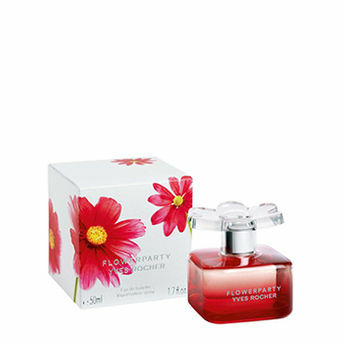 Introducing Flowerparty Eau de Toilette, a cheery, feminine fragrance that sparkles with sassiness at every turn! A zest of sassiness orange and mandarin burst forth in an explosion of vitality and sparkling cheer. A pulsing heart of flowers and fruits: rose, raspberry and lychee nectar offer vibrant, lively colors to attract attention. A scent that is sure to be noticed and remembered, an addictive vanilla base that ensures you'll never be forgotten. The Plus: An original, irresistible bottle.